Before we explore how you can understand and utilize your audited financial statements to improve your nonprofit, let’s review the basic benefits of receiving an external audit each year. An experienced audit team can identify areas for improvement; assess risks, quality and efficiency; and may reveal fraud and other detrimental behaviors. Ultimately, financial statements that have been audited by a professional auditor help assure funders and lenders that your not-for-profit is financially sound, which could result in loyalty of current donors and attraction of new donors. Below are three critical audit issues to consider regarding nonprofit financial statements. Understanding the auditor’s role within your organization will help you plan for the audit, as well as react and ask questions post-audit that will keep your organization on the right path. 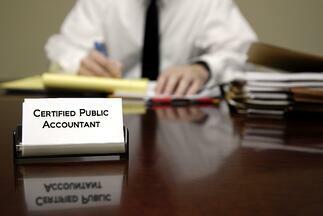 Ultimately, auditors are responsible for expressing an opinion on financial statements. Beyond that, they’re responsible for obtaining reasonable assurance that financial statements are free of material misstatements — be it from error or fraud. Your nonprofit and its advisors, on the other hand, are responsible for developing estimates, adopting sound accounting policies and establishing, maintaining and monitoring internal controls. Although your auditor may make suggestions about these items, it isn’t his or her responsibility to institute them or to ensure they’re working properly. While management is strictly responsible for decision making, your auditor is required to evaluate whether internal controls, accounting policies, and estimates are adequate to prevent or detect errors or fraud that could result in material misstatements of the financial statements. Sometimes a nonprofit board of directors’ role is overlooked in the preparation of financial statements, and, when trying to make the most of your financial statements, that’s a mistake. Keep in mind that your board generally has a strategic and oversight role in the process, which is part of its overall fiduciary duty. Your board isn’t responsible for completing the job. However, board members can be a good resource for certain technical matters, depending on their professional backgrounds. Perhaps most importantly, annual financial statements, when capitalized on fully, are designed to help you manage your organization. Financial statement metrics — such as debt ratios, program vs. administrative expense ratios and restricted vs. unrestricted resources — can be calculated to indicate how your organization is doing. When you understand your auditor’s role, harness the skills of your board members and analyze your financial statement metrics, you can take advantage of the information your financial statements offer, beyond just receiving your obligatory annual audit. For more information about financial statement audits for nonprofit organizations, contact us.